We’re heading into the season for military parades – at least in the Asia region. Singapore will celebrate its 50th anniversary on 9 August, while Taiwan commemorated the 70th anniversary of the victory over Japan on 4 July. 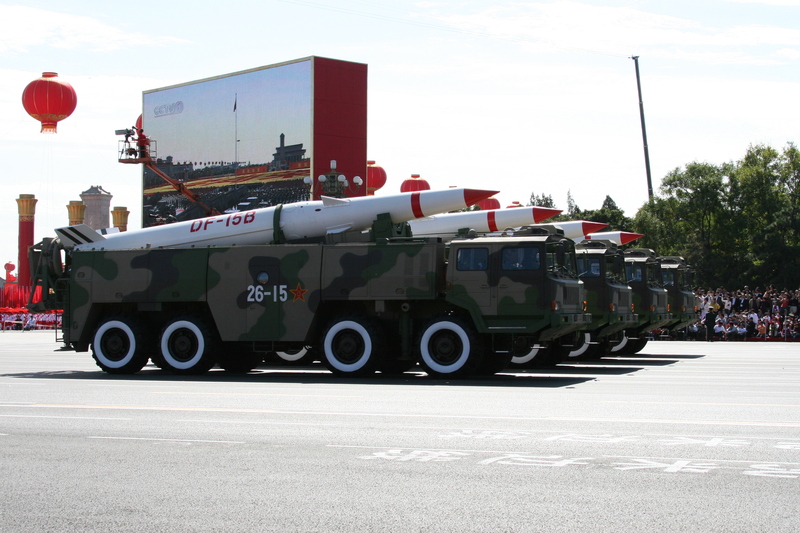 Furthermore, coming up on 3 September, the People’s Liberation Army (PLA) will doubtlessly stun the world again with precision-guided manoeuvres of all its latest military technology. Some people just love parades. Certainly they can present a powerful image. Others don’t like them because of all their over-the-top pomp and ceremony. 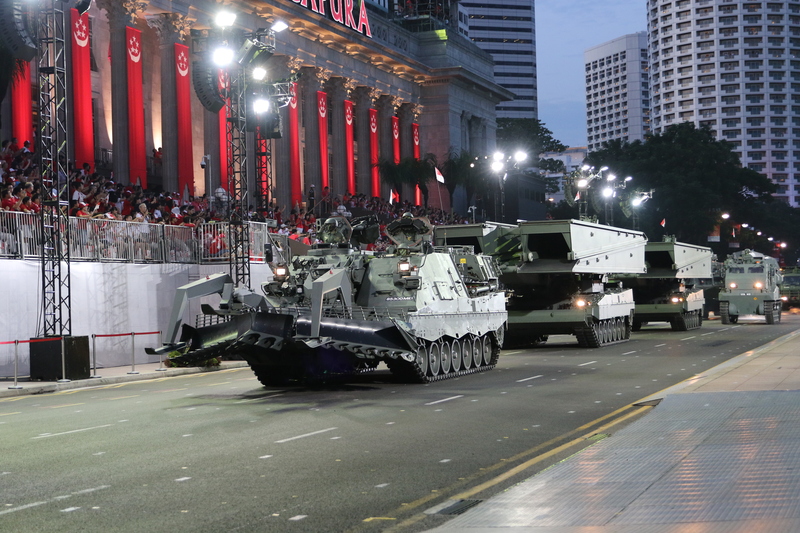 Last weekend I was in Singapore for a full dress rehearsal of the island state’s 50th anniversary National Day Parade that will occur on 9 August. 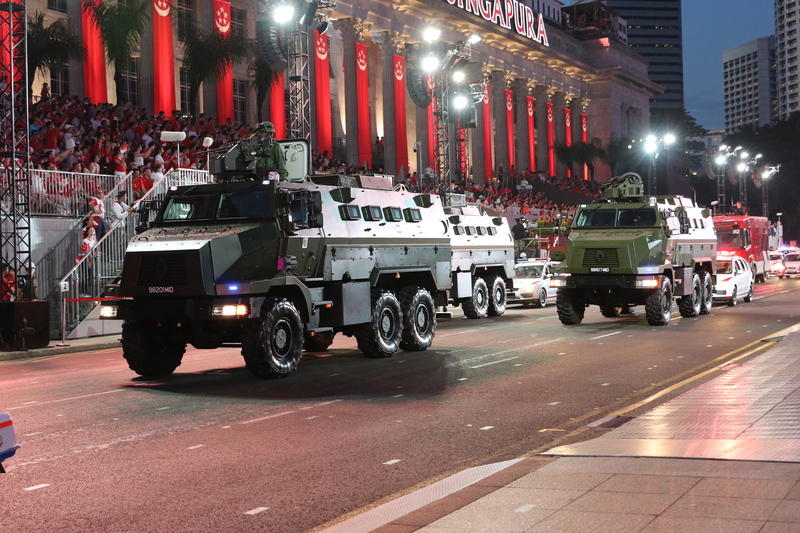 This parade featured flypasts by the Republic of Singapore Air Force, and was notable for the Singapore Army’s mobile column occurring under floodlights. 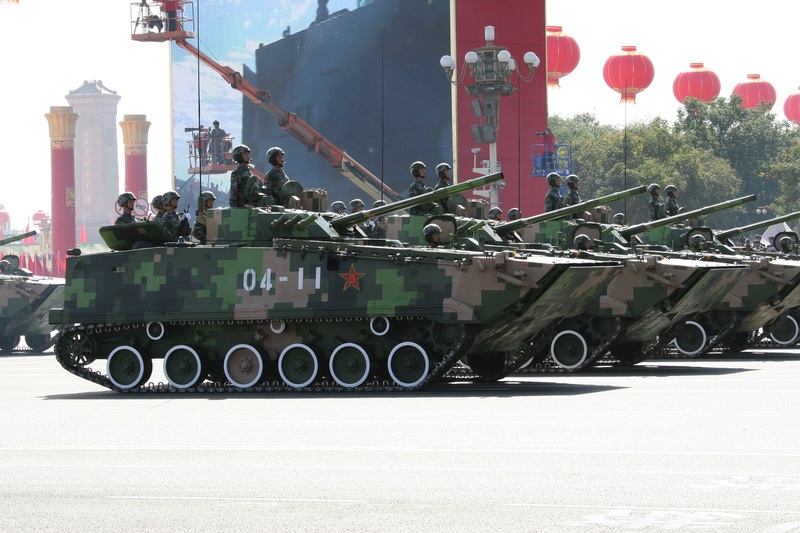 The beauty of military parades for me is that countries usually elect to show some of their latest hardware. Of course, it’s also a good opportunity to see lots of equipment gathered in one place at one time. Taiwan ruffled a few feathers by painting Japanese ‘kill’ markings on a couple of its fighters that were to be involved in a massive flypast. However, acceding to Japanese sensibilities, these victory markings were eventually removed. 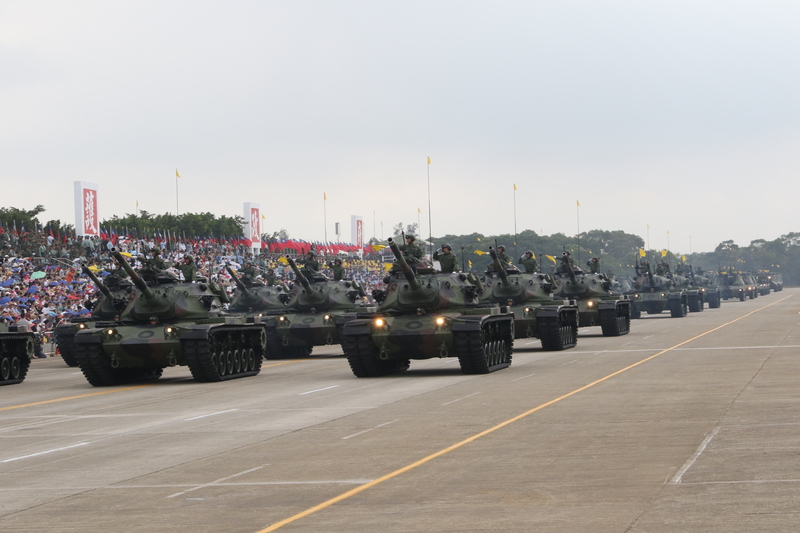 Nonetheless, it was still a good show with 64 aircraft and 294 vehicles participating. Among the first appearances was the Patriot PAC-3 missile launcher, satellite dish-equipped Mobile Broadcast Vehicle, and HMMWV-mounted CS/VRC-518 communication system.